Addiction is one of the most challenging problems dealt with in counseling. Those engaging in addiction treatment should be aware that the process is seldom simple or easy. Addiction combines the most intractable elements of emotional problems with powerful ongoing biological pressure to remain in addiction. The patterns created by addiction can alter the structures of family and friendships, while permanently changing the chemical systems of the body. The process of repair and recovery can be long and stressful. What are the physical causes of addiction? How can you prepare for addiction treatment? Explore various approaches to treatment. It was once common to think of addiction as simply a moral failing. Those who were addicted were thought to lack the moral strength to resist the vice of drug and alcohol abuse. It’s now known that chemical addictions attack the natural impulses of the body, often altering the body’s biochemical systems in the process. Both drugs and alcohol cross the blood-brain barrier, directly affecting brain chemistry. These substances, as well as many others involved in chemical dependency, usurp natural compulsion/reward responses normal to human behavior. The brain isn’t just rewarded with pleasure: it’s chemically tricked into obsessive pursuit in those who have become addicted. By providing powerful experiences of pleasure, exciting risk, and empowerment, they appeal to the most fundamental level of the human personality. When this appeal is reinforced by internal chemistry, social pressure, or apparent rewards, it is difficult to end the habit. If the attempt actually involves negative experiences; it’s harder still. Both drug and alcohol addiction inflicts severe negative reinforcement to the patient in withdrawal. Illness, severe pain, sweating, hallucinations, convulsions, and more are common symptoms of withdrawal from drugs and alcohol. Ending an addictive habit is inevitably difficult. Chemical addictions are known for the severe physical and emotional problems of withdrawal, and the difficulty shedding the compulsion to return to dependency. The psychological aspect of these addictions also imposes extreme emotional and social stress, as patients attempt to learn an entirely new approach to the simplest elements in their lives. Before entering addiction treatment, or before a friend or family member enters addiction treatment, take the time to learn the specific challenges that commonly face an addict. By understanding what the probable effects of withdrawal are, and what difficulties a patient faces in building a new life that is fortified against the former addiction, you establish a sound and realistic foundation on which you can build. Before entering counseling, it’s a good idea to learn the basic counseling approaches commonly used in addiction treatment. 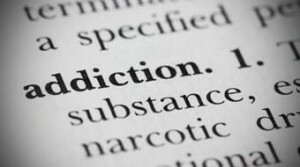 Drug and behavioral addiction are commonly treated through eclectic therapies that combine elements of behavior modification techniques. These are methods to help rebuild a patient’s behavioral patterns, providing both positive motivation and rewards for positive new behavior and negative disincentives to help prevent backsliding. These methods are combined with other counseling treatments, most often single-patient counseling in the tradition of one of a number of schools: group therapy and family therapy. Success rates without follow through are as low as 20%. With follow-through, the success rate is 40% or higher. When you plan for drug and alcohol addiction treatment for you or someone close to you, the project can seem infinitely challenging. Fortunately, help and resources are available. Starting with the articles and services here, you can review various conditions, be referred to counselors and counseling services, and be pointed to a variety of other information sources online and off. By combining this information with advice from a professional drug and alcohol addiction specialist, you can begin to develop a plan of action, with a sense of what will happen, who you will rely on, and what the long-term consequences of treatment will be. Whether you are the patient, or simply one of the patient’s support networks, you’ll be better positioned to make the most of the benefits of addiction treatment, while preparing for the inevitable difficulties that will be encountered along the way. From the first shock of withdrawal through the long recovery period, at each stage of progression you will have access to information and support.